Bob is the Green ICT lead for Defra. He is a member of the HMG CTO Councils Green Development Unit and has contributed to work by the BCS Ethics Forums Carbon Footprint Working Group as well as the proposed ISEB Green IT Qualifications. 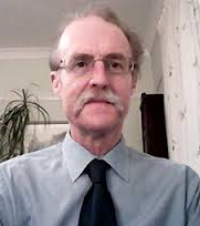 Since leaving university in 1975 he has worked in Defra and its predecessor organisation MAFF across all aspects of IT systems from programming analysis and design as well as project management and IT strategies. Bob is MBCS CITP.